The Leeds Saturday League in the 1960s contained a number of clubs that were well established and are still in existence today. The League covered a wide geographical area with clubs from York, Keighley, Castleford, Dewsbury and Featherstone taking part in a Leeds League that had only eight Leeds clubs in membership. 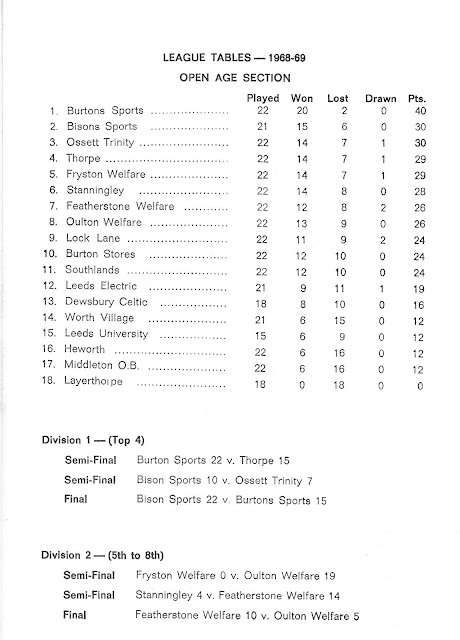 In the 1960s there were no amateur regional leagues and so clubs from West Yorkshire that wished to play Saturday rugby had to join the Leeds League. Which clubs are still in existence today?